Hakkasan Beverly Hills is one of two spots in L.A. that serves Baijiu cocktails. The first time I encountered Baijiu (“bye-joe”), the Chinese spirit distilled from sorghum, was in bartender Joseph Brooke’s Mid-City home bar, the Barage. He kept it on his back shelf and dusted it off only for dares. 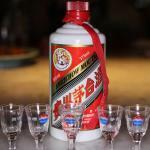 While I was there, one bold patron took a shot of the Moutai Baijiu and described it as tasting like “wet dog smell.” I myself found it a bit too sharp and sour for my liking. It was a most inauspicious introduction. This complex, robust and potent spirit is definitely an acquired taste. But it’s a huge part of China’s history spanning thousands of years, and there are even rules on how to drink it. Hint: You’ll want to make sure your glass is lower than your companion’s when toasting with it as a sign of respect. Baijiu is usually enjoyed with food, is primarily imbibed by old men, and busted out mostly for special occasions. In China, they don’t drink it in nightclubs and definitely do not mix it in cocktails. But importers CNS Importers, Inc. and Private Cask Imports, Inc., who teamed up to promote Baijiu in America, hope to bring awareness of not just certain brands but the entire spirit category. And that involves convincing everyone that you can mix it in cocktails. This year CNS even hosted a seminar at annual cocktail convention Tales of the Cocktail to school bartenders on it. When doing a Baijiu toast, make sure to lift up your toasting companion’s hand as a sign of respect. If you’re a brave soul, you can try Baijiu cocktails in only two places in L.A.: Peking Tavern Downtown, which bills itself as “Home of the Baijiu Cocktail,” and Hakkasan Beverly Hills. And if you’re a very brave soul, you can try to make your own Baijiu cocktail, which is a seemingly impossible feat. Those familiar with Baijiu can’t even imagine it in a cocktail. The spirit is in your face and would seemingly not play nicely with most ingredients. So I asked bartender Cari Hah, who created the opening Baijiu cocktail menu for Peking Tavern, as well as bartenders Tarita Noronha and Heriberto Lausell Jr. of Hakkasan Beverly Hills, whose chain is looking to become a leader on the category throughout the States, for tips on how anyone could even begin to make a tasty beverage with the stuff. Here are their suggestions. Play up the natural flavors. 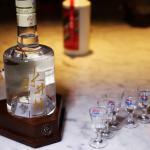 “We wanted the nose to not be so strong but also enhance the natural flavors of the Baijiu. It’s robust, it’s complex, it’s bitter with a little bit of sweetness on the end. 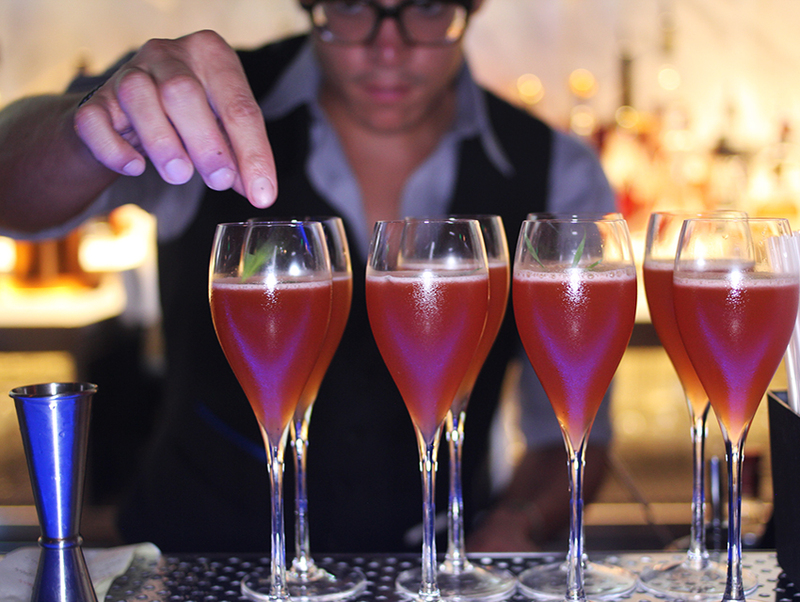 You have a lot of elements to play up in a cocktail.” — Lausell, Jr.